Hot water heater problems can quickly disrupt your Omaha family’s daily routine. Major Drain’s water heater repair technicians provide the fastest, most reliable hot water heater repair service for our Omaha area friends and neighbors to get you back to your regular lifestyle in no time. 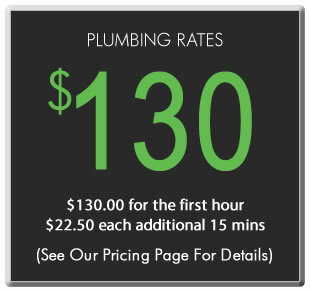 Don’t let leaking water heaters or cold showers ruin your mornings or damage your home–Major Drain’s specialized water heater repair technicians are Omaha’s choice for affordable water heater repair services so efficient, your family–and wallet–will never know there were water heater problems in the first place! A leaking water heater, noisy water heater, inconsistent water temperatures, or other hot water heater problems could mean your need water heater replacement, but before you panic, call Major drain with any emergency water heater repair needs. Our water heater repair experts can perform immediate water heater troubleshooting, in which your water heater problems are assessed quickly and knowledgeably by our specialists in water heater repair. Major Drain’s goal is to treat our Omaha customers as family, meaning we provide all hot water heater repair services with integrity. We want to save your Omaha family money and stress, which means we will only make water heater repairs that are absolutely necessary. Our water heater repairmen communicate honestly to convey whether your water heater problem is a simple fix or requires water heater replacement. Our qualified repair technicians provide a thorough hot water heater inspection on your electric water heater or gas water heaters which includes checking the valves for leaks, the water heater tank for corrosion or obstructions, the pilot light for proper performance, and the temperature and pressure settings to avoid accidents. Our water heater repair services are applicable to 40 or 50 gallon electric water heaters and gas water heaters, so no matter what type or brand of water heater is in your Omaha home, rest assured that our water heater repair team will have the necessary knowledge for troubleshooting water heaters of all types. After thorough inspection, our highly trained water heater repair technicians can provide water heater repair services, or water heater replacement if it would be more cost-effective in the long run. A common solution to hot water heater problems is draining and flushing the tank to remove buildup of sediment and lime deposits. Buildup can keep the system from heating up water quickly or efficiently which will mean higher energy costs and less hot water. Corrosion inside the tank is also a common problem and could mean either a water heater repair or a replacement depending on the extent of the damage. This is why, if you have a leaking water heater, a professional should perform a full inspection to make sure you won’t have any hot water heater problems in the future. When you’re looking for professional water heater repair services for your Omaha home, you can trust Major Drain. We provide prompt and friendly service to every client with hot water heater problems. We will fix your water heater to ensure it is reliable and will provide your family with hot water for many years to come. Major Drain performs emergency water heater repairs and water heater troubleshooting for your: 40 gallon electric water heater, 50 gallon electric water heater, 40 gallon gas water heater, or 50 gallon gas water heater. Contact Major Drain today for emergency water heater repair services, and get your Omaha family back to their daily routine!